View cart “Top Leg Section” has been added to your cart. The Express is a 13′ tripod with 365 degree swivel action. 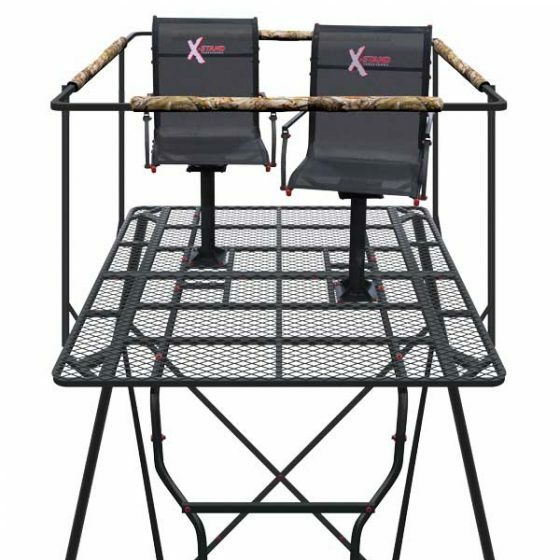 Flip-up shooting rail and a roomy Comfort-tech mesh seat zero gravity for all day comfort. The legs of the eXpress fold together for easy storage and transportation.